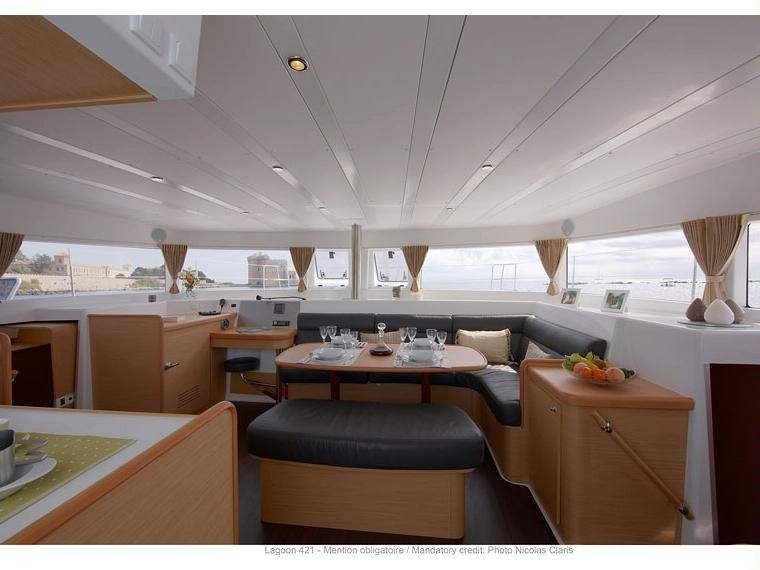 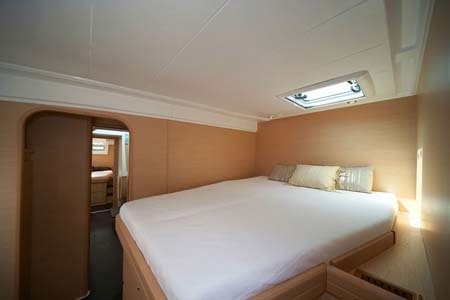 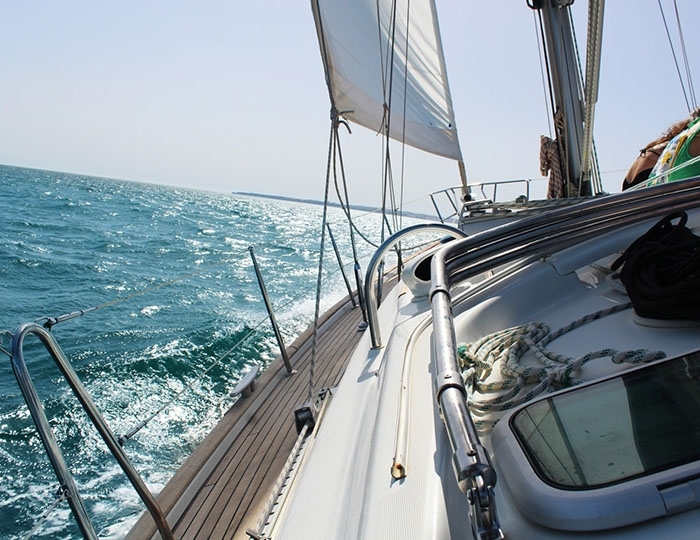 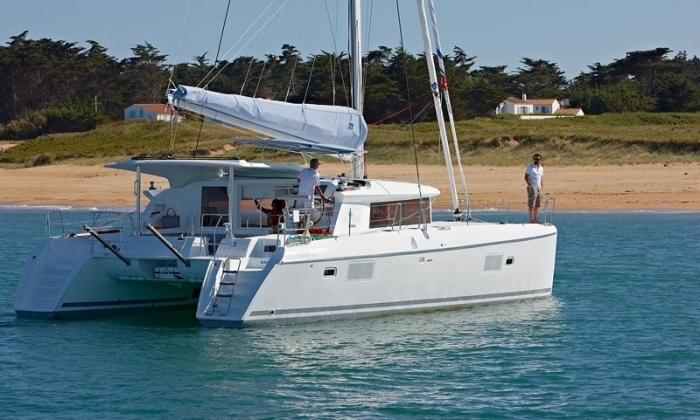 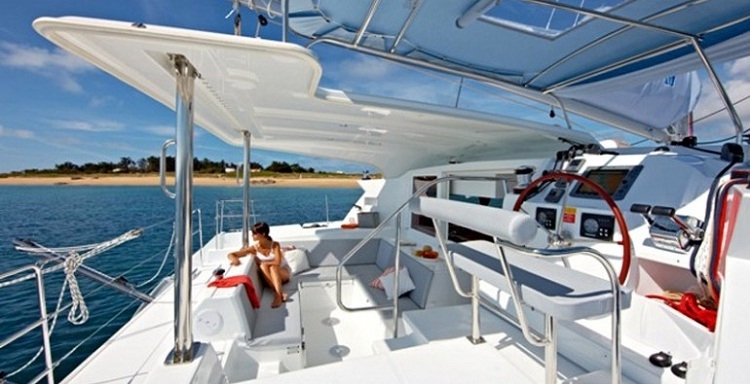 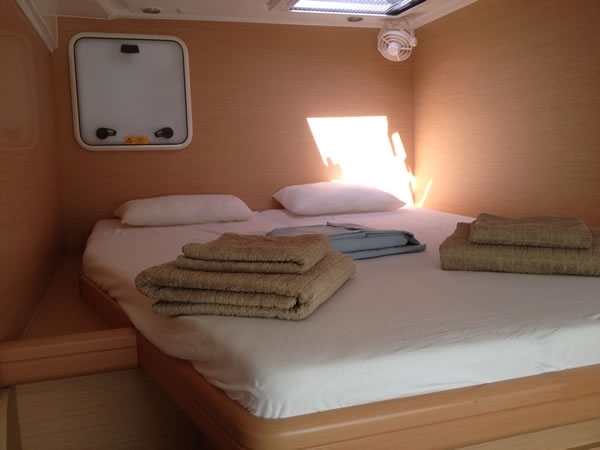 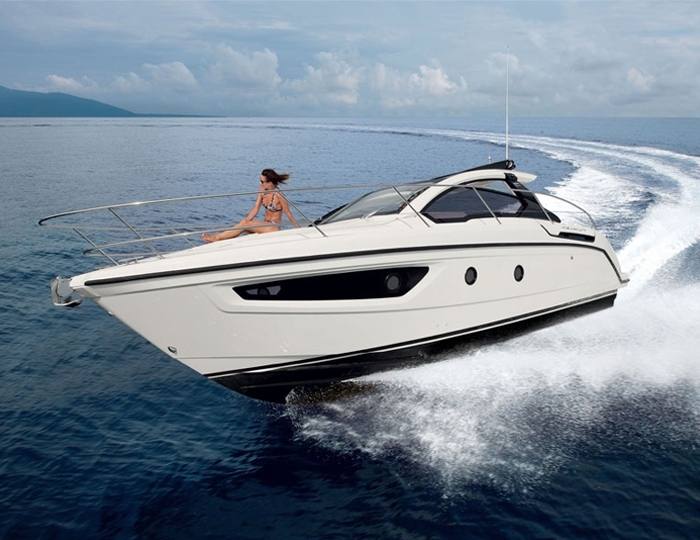 Luxury catamaran for rent from Lefkada, Ionian Islands. 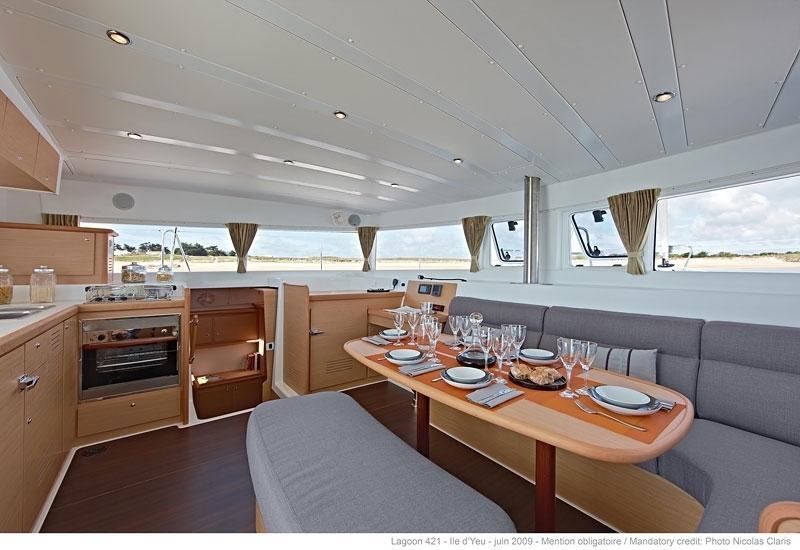 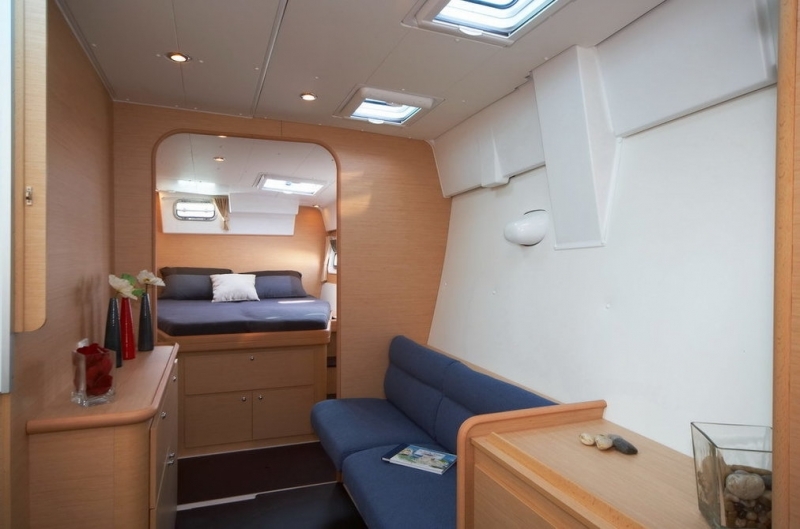 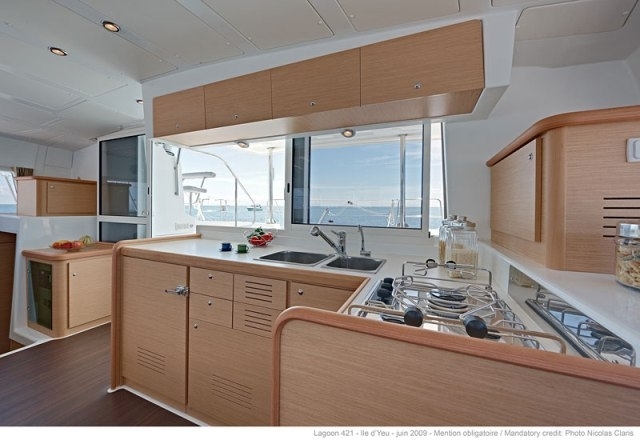 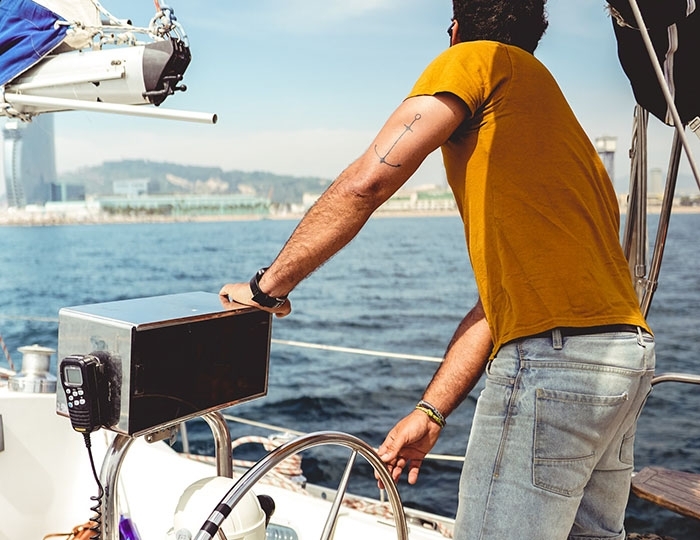 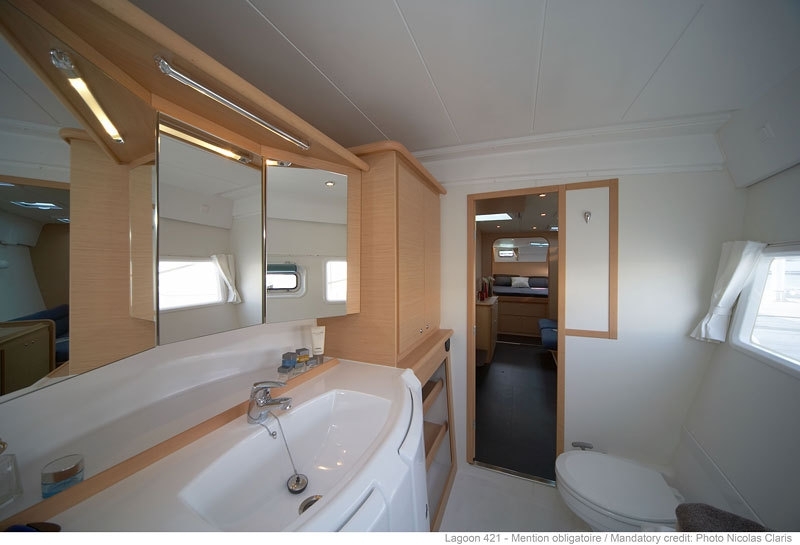 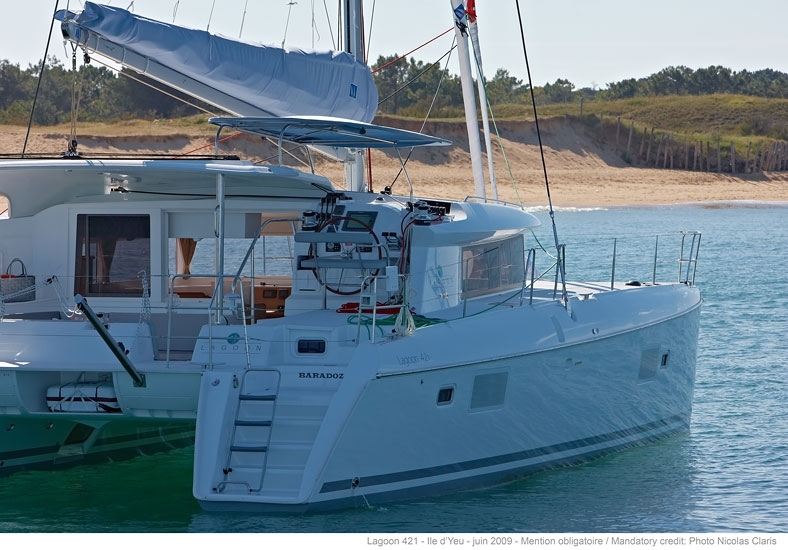 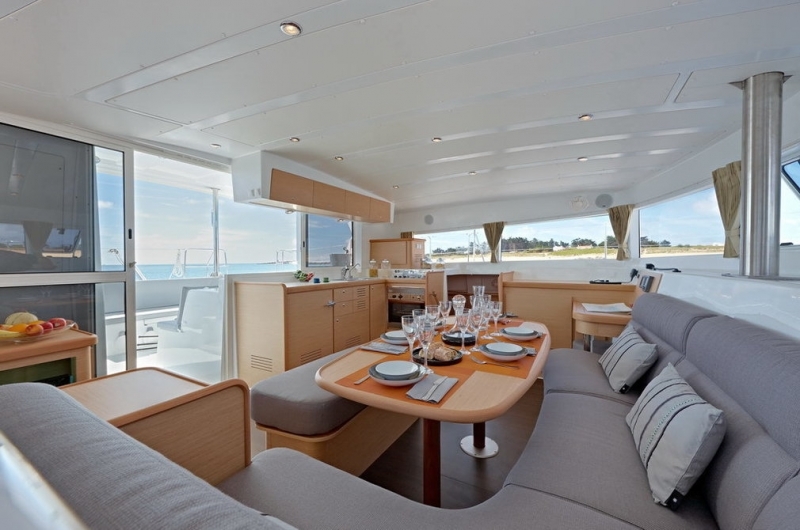 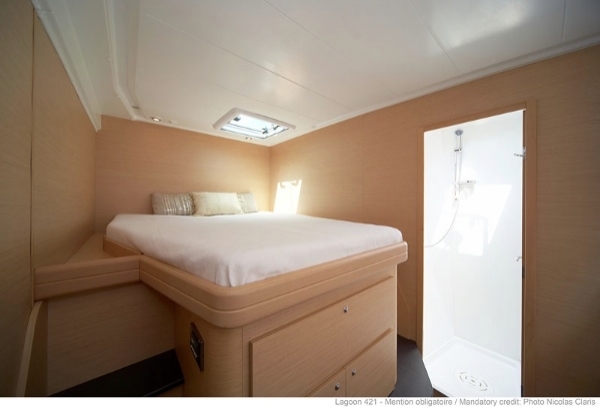 The Lagoon 421 is designed to meet the needs of sailors whose first concern is comfort and space, without sacrificing the pleasures of pure sailing. 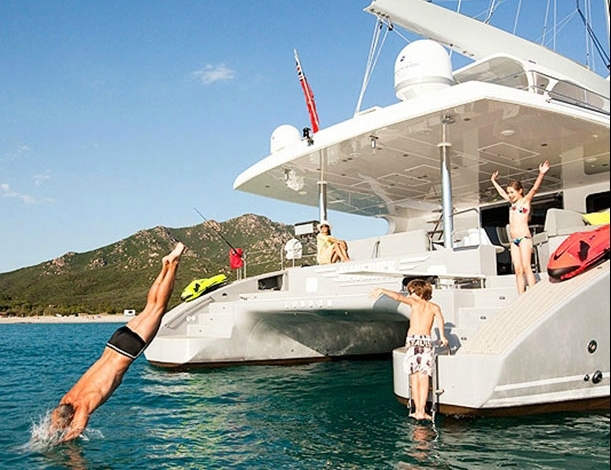 With its almost 13 meters long and 7.5 meters wide, you will feel like accommodated in a luxury floating villa. 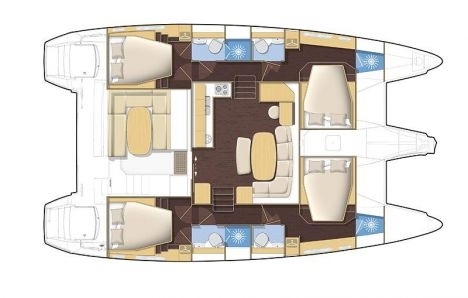 Featuring a four double cabins on board the space is enough to satisfy the most demanding passengers and even their guests. 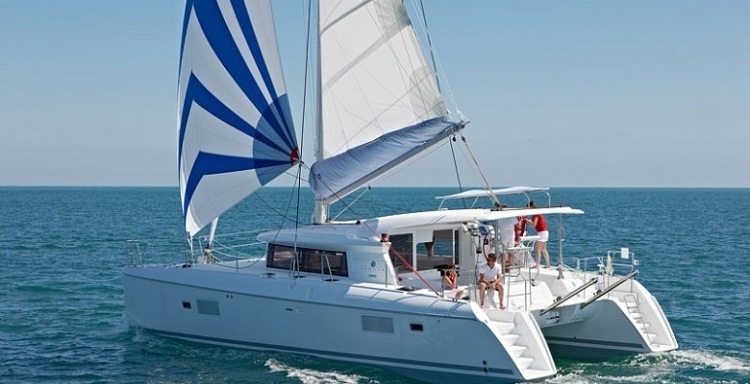 If you want a really luxurious sailing this is your catamaran.